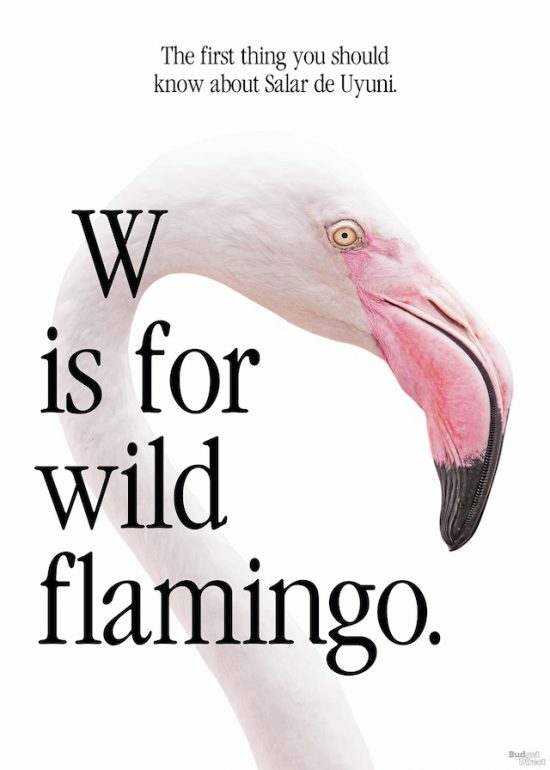 Apple’s advertisement posters are legendary and instantly recognisable – clean, easy to read, thought-provoking. They’re a major part of why Apple products have become so beloved, so it’s only natural that they’ll continue to play an important role as the company seeks to expand its reach and influence. Recently, Apple unveiled a new streaming TV service, its own branded credit card and a news subscription product, so who knows where it’ll go next? How about a travel service, with its own iPlanes? With that in mind, travel posters have been created to imagine how Apple’s poster aesthetic could work to try and entice us to jump onboard. If Apple was advertising Australia, they’d probably go down one of these two options. 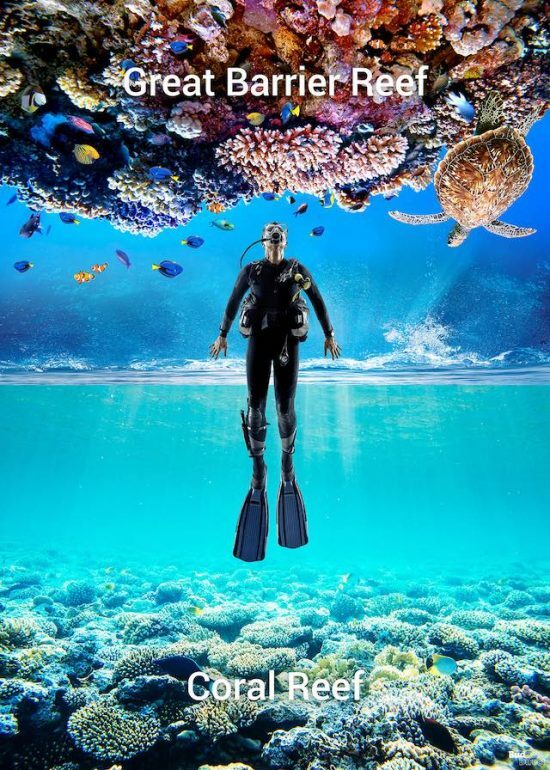 The first poster showcases the underwater beauty of the Great Barrier Reef, full of bright colors, iconic fish and puts you right in the middle of it. 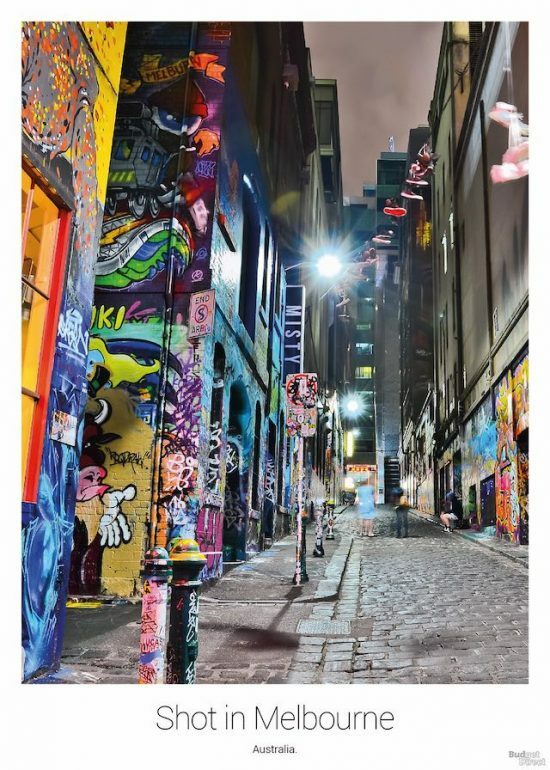 The second poster has plenty of color too, but of an urban variety, with a photo taken (on an iPhone of course) of street art in Melbourne, highlighting its cosmopolitan and creative side. Who needs to see another pyramid and camel combo? 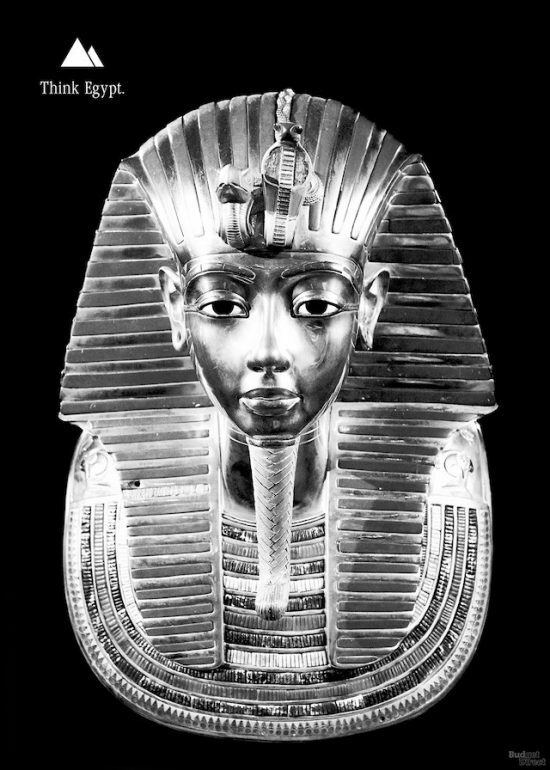 Clearly not Apple, who would probably highlight other aspects, like the first poster’s Tutankhamun death mask, which is presented with no other information, because nothing else is needed. 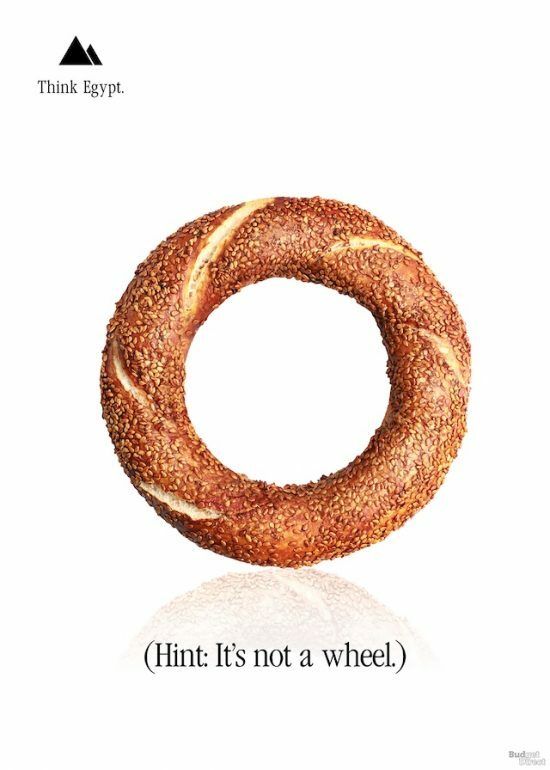 By contrast, the second poster features a less familiar sight, a baked ka’ak, with a very Apple-esque slogan underneath. 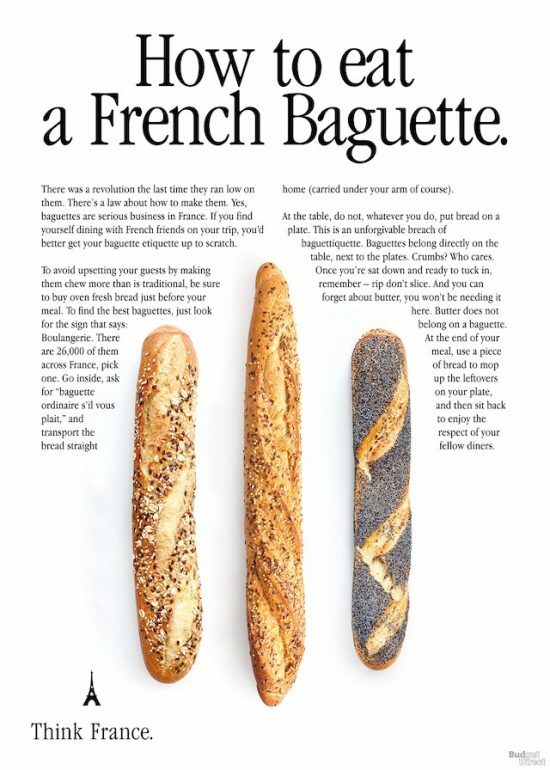 While the Egyptian baked goods poster had very few words, this one is full of them, showcasing baguettes in a way that is both obvious from a distance and informative for anyone who takes the time to read it. 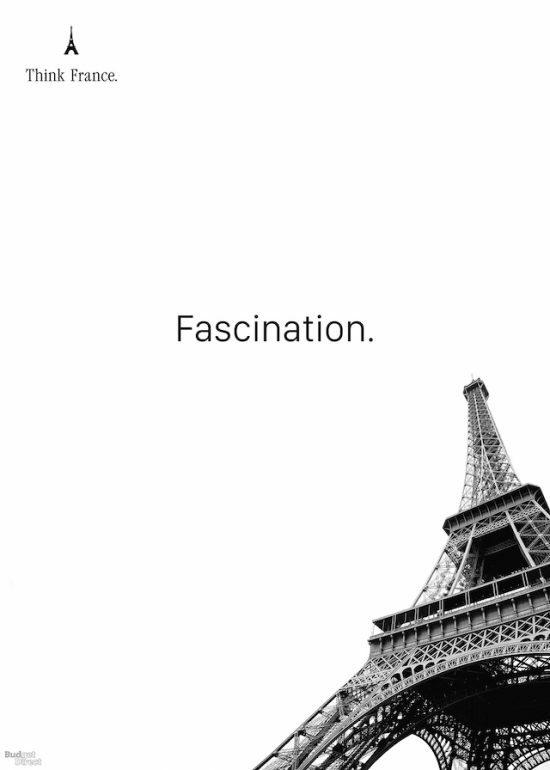 The second one uses white space in a very ‘Apple’ way, taking the Eiffel Tower and consigning it to the bottom right corner. 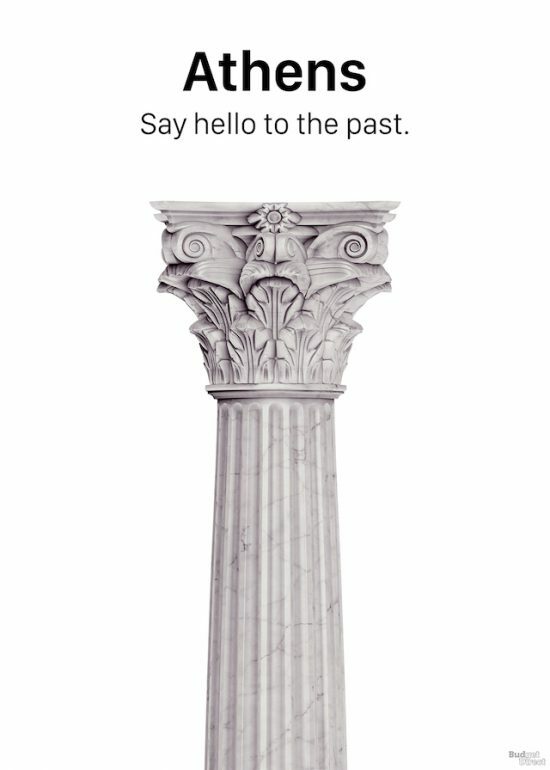 Apple’s well known for its design, so here it chooses an even more celebrated design – a Corinthian column – to sell Greek’s historical sights. 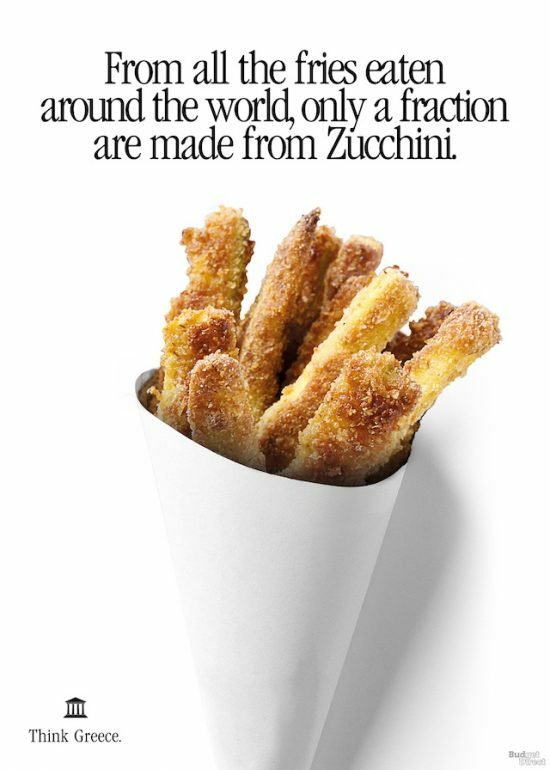 The second poster presents some tantalising zucchini fries with a slogan designed to catch your eye and capture your imagination. 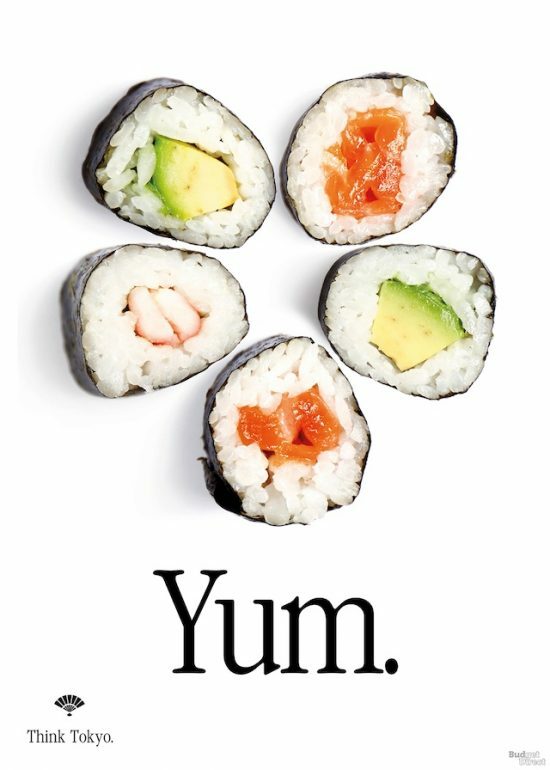 Another simple food-based poster here, this time for Japan, featuring some sushi and no more words than are necessary. 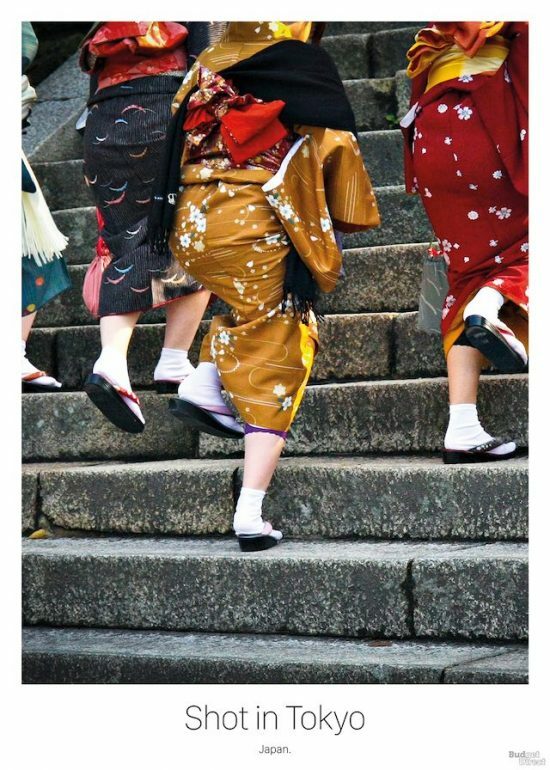 There’s no words at all on the second poster, another street photography design with the kimonos on display telling you everything you need to know and making you want to book a trip to Japan. 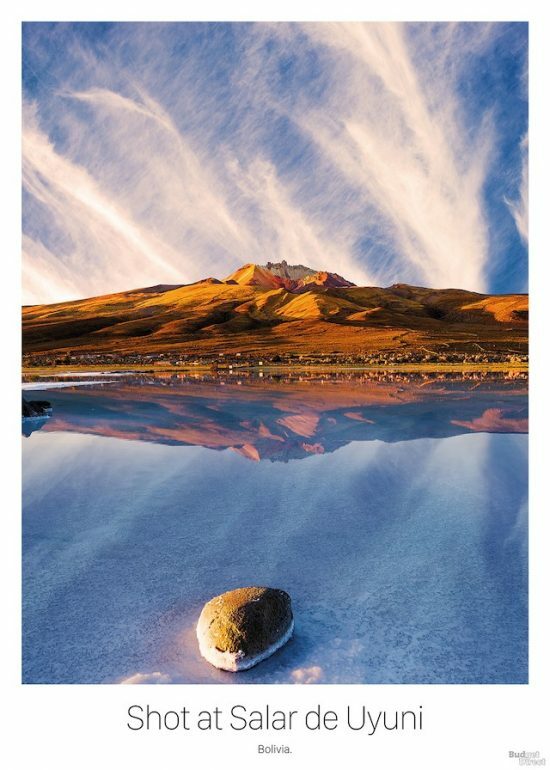 Bolivia’s salt flats at Salar de Uyuni are the kind of destination Apple’s graphic designers would love to try and sell to you, and these two posters show the ways they could do that. From the startling shot of a flamingo to the very reflective landscape shot where the sky and the water mirror each other, it’s all about the natural beauty. 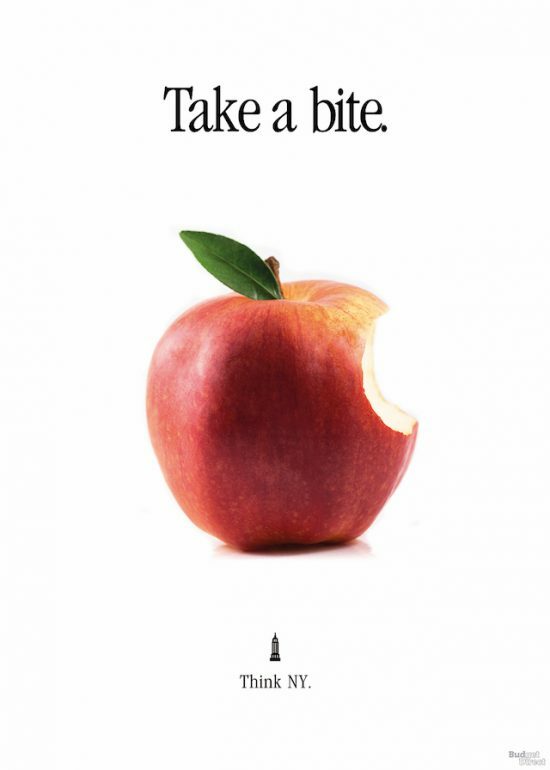 If a company called Apple makes a poster advertising a trip to the city called The Big Apple, what do you think they’ll put on it? 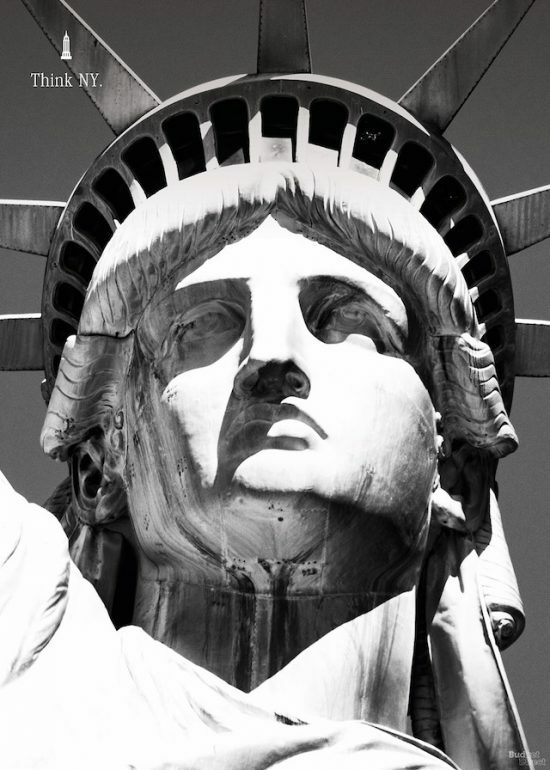 Yes, it’s an apple and it’s iconic, as is the close-up of the Statue of Liberty, as American a sight as you could imagine. 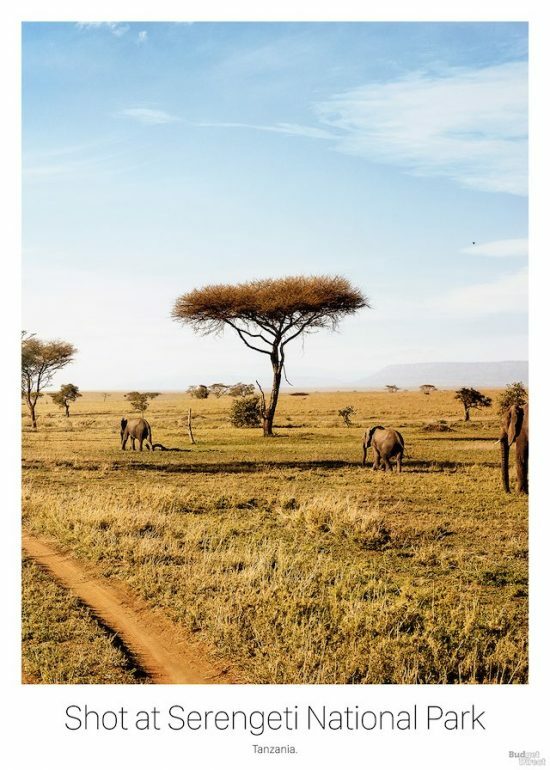 How to present a stunning natural location like the Serengeti? Apple would, clearly, not even show it, instead using words to pick out the sights and attractions, or it would showcase them with a simple iPhone photo. 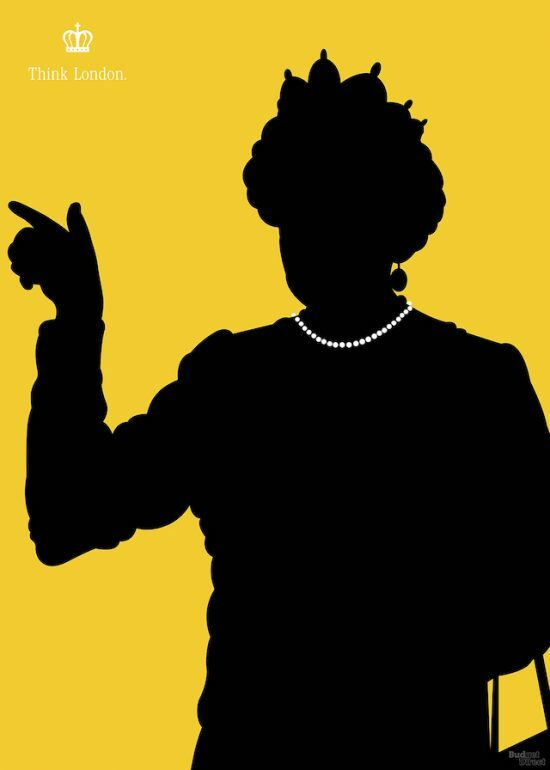 Apple’s silhouette iPod adverts have lasted in the cultural memory much longer than iPods did, so it wouldn’t be a surprise to see them with a slightly cheeky poster of the Queen rocking out. 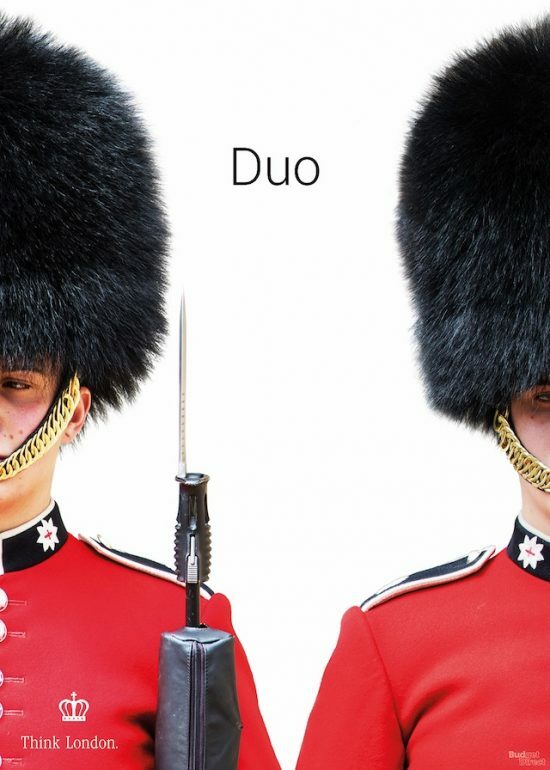 Another famous sight gets a twist in the second poster with a couple of guardsmen in their bearskin hats. 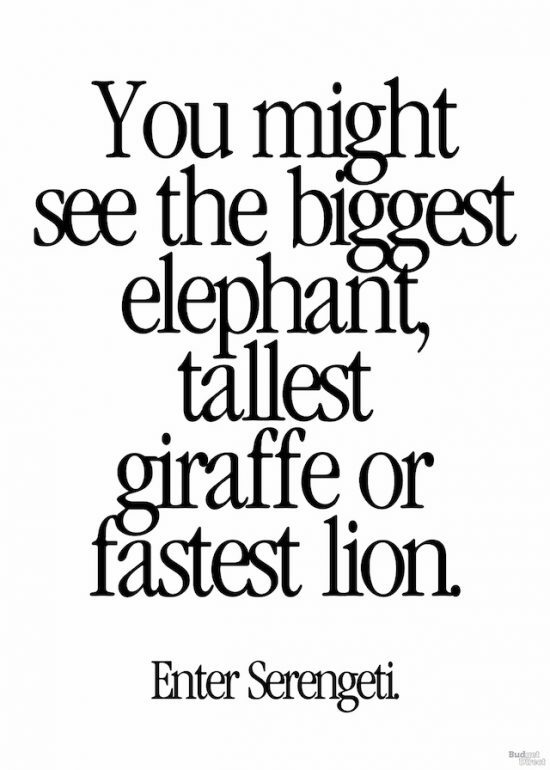 Which of these posters do you think most looks like something Apple would create? Which one has you ready to book a vacation?